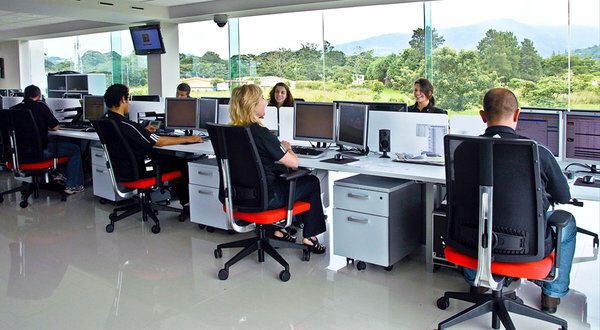 The customer support desk at PerHead.com, a company in Costa Rica behind a Web site that serves neighborhood bookies and their bettors. The local street bookie — whose illegal business for decades relied on little more than phones, pencils, notebooks and a burly goon to break the occasional leg — has finally been seduced by the modern conveniences of the Internet. Steve Budin, a former operator of an online sports book, sees the value in Web sites in which the bets of local bookies can be recorded and tracked. As bettors throughout the United States plunk down millions of dollars on college basketball’s Final Four this weekend, many of the bookies taking their action will turn to a burgeoning corner of the Internet: Web sites that essentially function as a bookie’s version of the financial software Quicken. The basic setup is simple: Instead of taking a phone call from every hopeful bettor, the bookie directs his clients to a Web site, where bets can be recorded, tracked and totaled. The bookie can then log on and see who owes — or is owed — money in the coming week. It is organized. It is civilized. It is user-friendly, for both the bookie and the bettor, even though it remains illegal. It is also a drastic departure from the entrenched notion of bookies operating out of basements or back offices, with jumbles of phone-line wires, drop safes and handwritten ledgers. Bookies who use the sites pay the companies that operate them a small fee per client, which is why the sites collectively are known as pay-per-head sites. 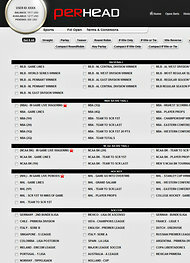 The most significant difference between pay-per-head sites and offshore online sports books — which have been targets of federal law enforcement in recent years — is that pay-per-head sites do not handle any betting money; they simply offer the players a place to record their bets and the bookies a register for organizing them. Settling up — and the threatening that occasionally goes along with that for those who try to evade paying — is still done locally. 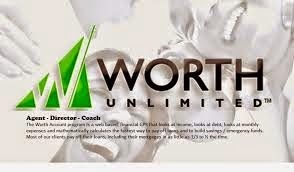 The services offered by the sites, however, are well worth the per-head fee of roughly $20, bookies say. In the so-called old days, the general business setup for a bookie was a split partnership, in which the operator would work in the office taking bets and the money guy was on the streets, handling the finances. Profits were generally split 50-50. The best per-head sites are run like any large business and attract an increasingly diverse customer base, with demographics far beyond the stereotypical image of the mob-connected bookie. PerHead.com, for example, is based in Costa Rica and has nearly 100 employees working in a gleaming, modern office building. There are six full-time employees focused on I.T., working to ward off hackers and maintain the company’s servers. There is one person dedicated to increasing the company’s search engine optimization, which helps attract bookies of all experience levels, Prescott said. Prescott said the surge in per-head start-ups began in earnest about three to five years ago — perhaps in response to government crackdowns on traditional online sports books. Although exact figures are unavailable, some estimates have the number of per-head sites operating to be “in the hundreds,” Prescott said. Thomas, a longtime bookie in the New York metropolitan area who asked that only his first name be used because of the illegal nature of his work, said using a pay-per-head site had revolutionized his business. His customers can place bets at any time. It is a big change from the old days, when many bookies took bets only until 8 or 9 p.m. even though games on the West Coast began later. Those who want to place a complex parlay, or multiple-team wager, can call one of the Web site’s clerks, instead of him, to get an immediate reply on how much that bet will pay out if it wins. Sites such as PerHead.com do not handle betting money. Each customer also has a “settle-up number,” which is the amount of money at which he must send payment if he has lost or receive it if he has won. A small-time bettor might have a settle-up number of $500; a big player might not settle up until he hits (or loses) $2,000 or more. Rick, a higher-stakes sports bettor based in New England, said he was leery of sending his credit card number to traditional online sports books because he had friends who lost money when their online sports books were suddenly shut down. He prefers the per-head setup because it gives him access to a Web site but also allows him to build a trusting relationship with his local bookie; when he won a bet that came with a $20,000 payoff, the bookie still met him at the usual time and paid up. Lawrence Walters, a lawyer who specializes in online gambling, said pay-per-head sites operate in a gray area because of those types of meetings and the required third-party element that is inherent in their operations. It is possible that operators of the sites could be prosecuted by United States officials for facilitating illegal sports betting in this country, but with most of the sites based in Costa Rica and other Central American countries where gambling is legal, extradition would be unlikely, he said. Given that reality, it is not surprising that the pay-per-head business is thriving. Although images of its old-school roots do persist, the sports gambling industry has embraced technology — bookies included. A version of this article appeared in print on March 30, 2012, on page B9 of the New York edition with the headline: Neighborhood Bookies Putting Lines Online.